Your right Obama Texans and the families who have lost loved ones because of the lack of effort on the part of the Federal Government to actually do what their real job is and secure the borders of the United States of America!! 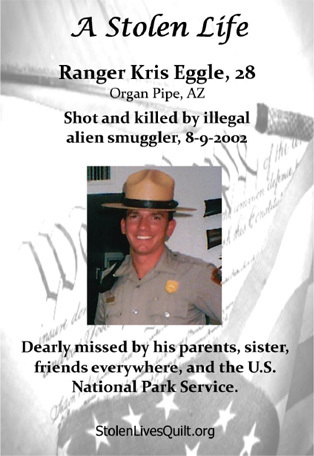 …is dedicated to remembering and honoring Americans whose lives have been stolen at the hands of an illegal alien. We need your help, to bring to the forefront the tragic loss of American lives directly due to the continued illegal acts of illegal aliens; people who should never have been in our country to begin with.